Are You Interested in Engaging with Me? I am so grateful you are compelled to work with me! My goal is to engage, support, & empower YOU in your healing. It all starts with nurturing yourself naturally! Set Up a Free Consultation. In these 15 minutes, we will talk about what your primary health concern is and how to alleviate it. Self-Care Coaching Sessions. There are a few options. First, we can make a Personalized Blue Print for Your Self-Care. Second, I can teach you Self-Care Massage and Healing techniques. Third, I can teach you how to make your own herbal remedies. 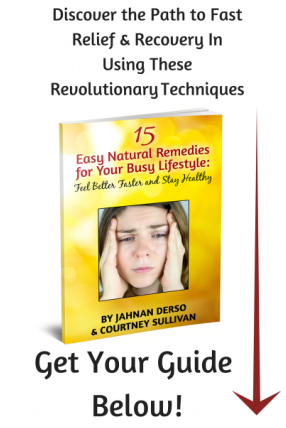 We can communicate more frequently and personally when you sign up for my free E-Guide: "15 Natural Remedies for Your Busy Lifestyle." Then, you will receive a weekly Self-Care tip in my newsletter. (Check out a sample newsletter here.) If you are interested in tapping into the inspiration & wisdom of Hibiscus Healing, fill out the form to the right, so I can send this special offer to you directly. If you are a practitioner and want to sell any of my products, visit my ﻿Practitioner Tab﻿. If you want to join my team and work together more deeply, send me an email. This is the Art of Self-Care.